In 1675 there are 800 outstanding artists and craftsmen in Gobelins’ circle. At Le Brun’s orders are lapidaries and carpenters, carvers, jewellers, upholsterers and painters from all backgrounds. Perfection of colours and design is at its peak, a sophistication never before achieved in tapestries’ weaving. Production times go even over 5 years for the complexity reached in weaving techniques and therefore prices rise considerably. 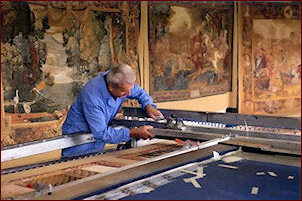 Around the seventeenth century, in France and Italy appear the first tapestries painted onto silk fabric and linen. These painted tapestries are used in the furnishings of palaces and buildings, so as to appear officially in the crown’s collections. 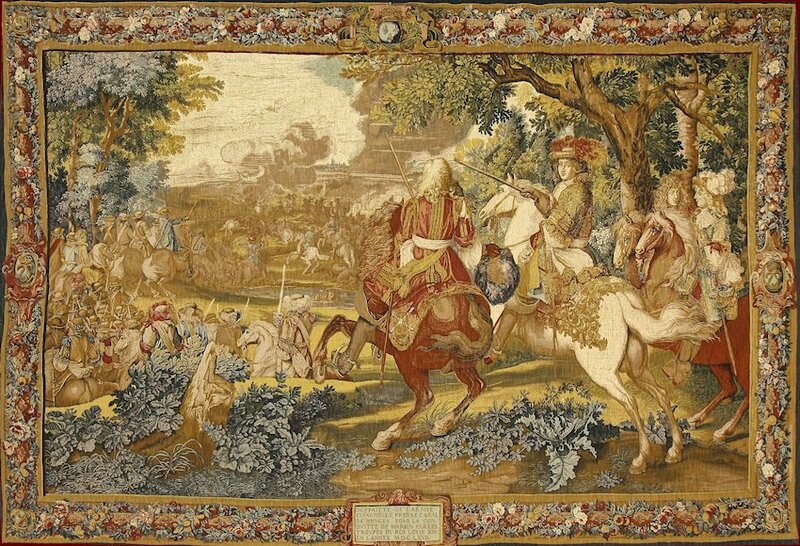 On the ” Crown Superintendent’s Register of the 11th August 1689, there are registered “four tapestries in moaire painted by master Bonnemer in Gobelins’manufacture illustrating The Crossing of the Rhine by the Prince of Conde”. The King’s ordinary painter and one of Charles Le Brun’s collaborators, Bonnemer had learned the technique of painting on silk tapestries, tapisseries de peinture, during his stay in Rome. 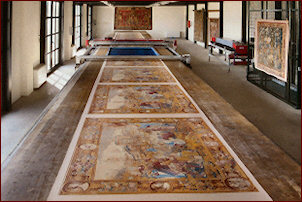 On the death of Louis XIV, in 1715, the inventory of the crown back well 2.155 Gobelins tapestries. The technique related to this production of painted tapestries, mentioned several times in the “Crown Superintendent’s Register”, seems wrapped in a mystery, the information is rare and jealously guarded. 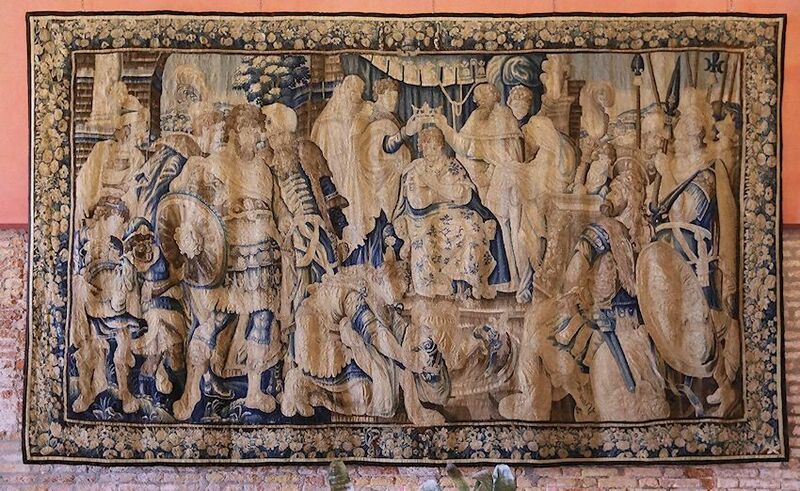 In the same Gobelins’ manufacture, a tapestry maker does not reveal to any other special “the special secret to painting tapestries onto fabric.” These are the origins of the production of tapestries Editions d’Art de Rambouillet. 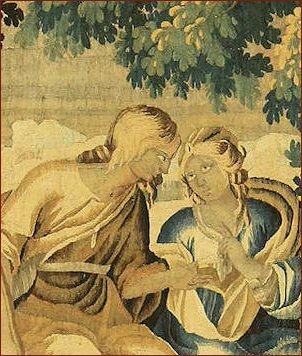 The French company de Rambouillet, referring to the techniques used in the seventeenth century, invented in 1960 an exclusive process for the reproduction of ancient tapestries painted on fabric. It took seven years of research to achieve the desired result. The tapestry’s fabric is a mixture of linen, viscose and cotton; this is pasted on a table heated to 60 ° C. At this point, the color is spread on the silk-screening frames by means of a spatula, on average from 12 to 17 as there are colours to make our tapestry, to colour the fabric and perform the various steps, one for each film. This is the most delicate operation of the whole process because if a centring mistake happens the tapestry is compromised. 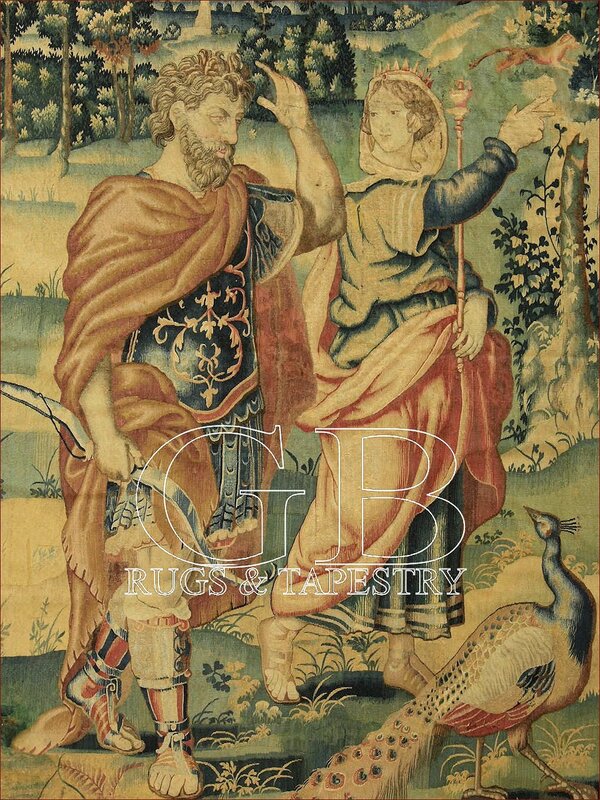 When the colouring is finished the tapestry is aged to give it an antique tone. To complete the job the fabric on the back is applied by hand with the label on which is given the period in which the tapestry was made with the original name of the subject, the museum where it is stored, then the details on the our tapestry’s production method.